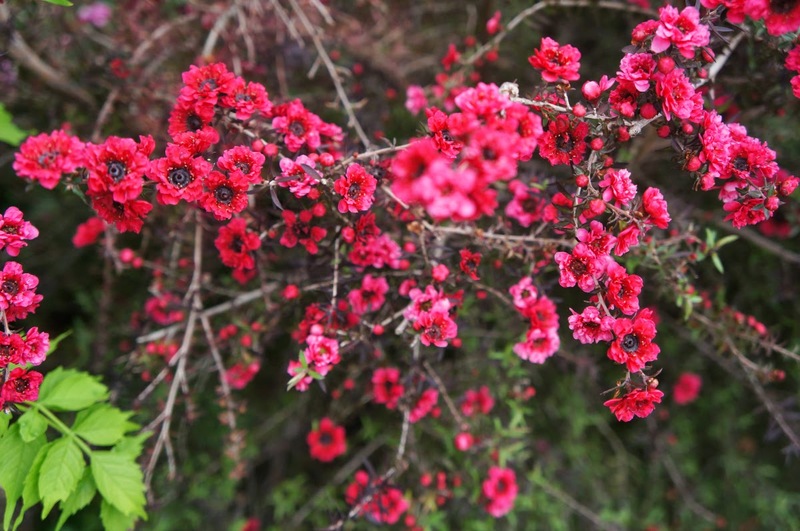 I love this time of year with Mother nature bestowing gorgeous gifts of color. The weather here in California will be quite warm this week. Time to bring out the patio furniture and enjoy the warm sun on our faces. 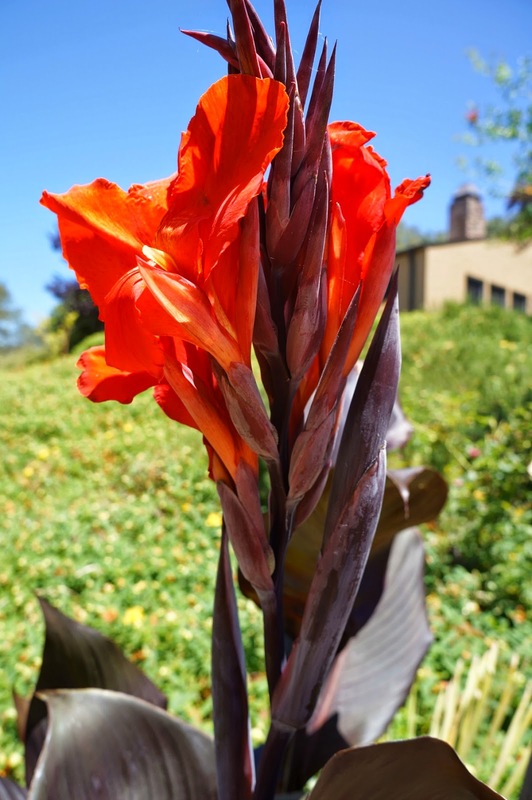 I took a stroll around our property recently and captured pictures of our flowers in bloom. It is such a lovely feeling to walk around and take in the beauty. 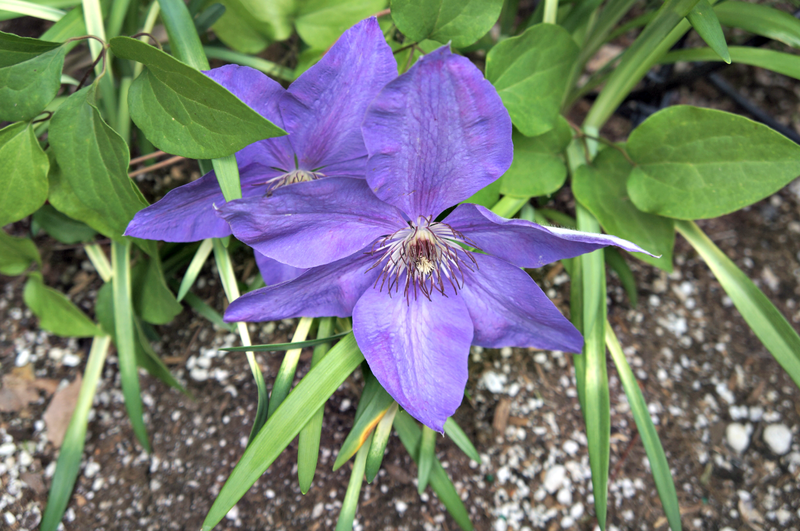 Our lovely Clematis in full bloom. 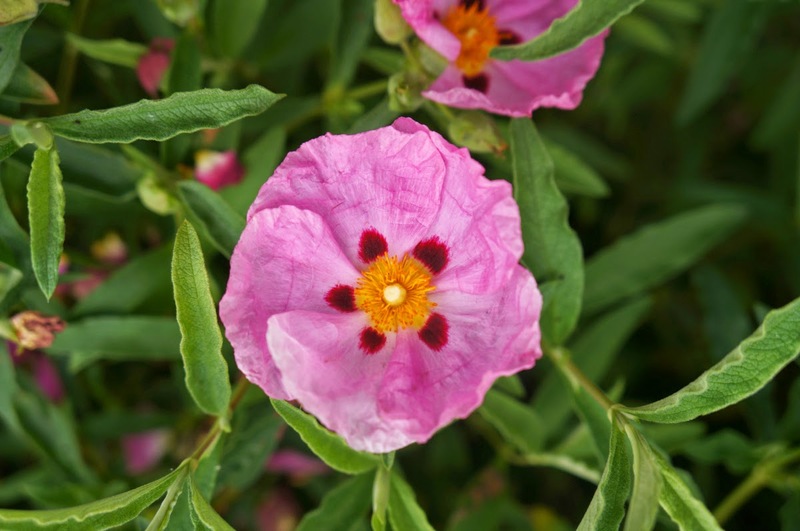 These Rock Rose flowers always remind me of a paper flower. 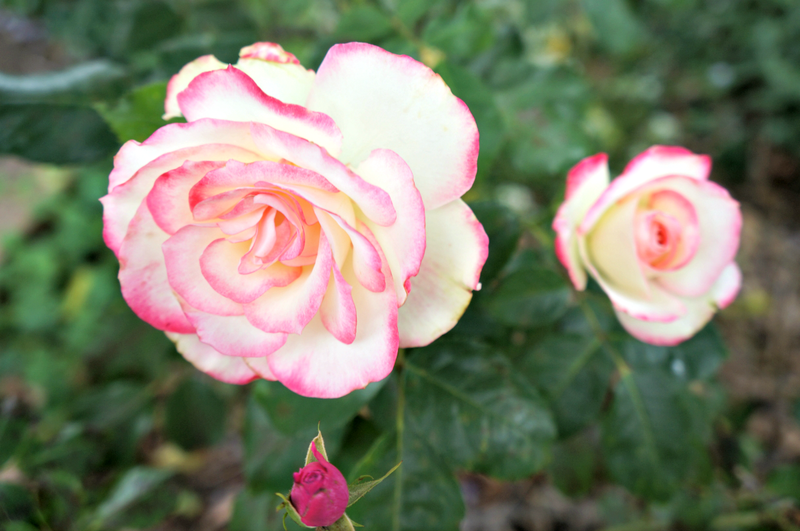 Love this two tone rose. 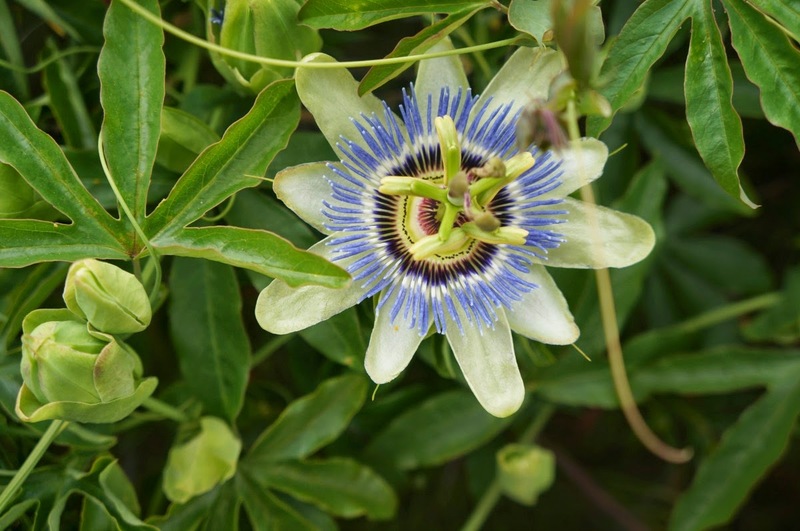 Passion Flower, such a unique flower. Mini Petunias that came back from last year. Our front yard and Big Hill. This Trumpet vine will soon be filled with flowers. Here's our garden. Lettuce came up from last year, along with some carrots. I have different varieties of tomatoes growing too. Have a great week and I hope you all are having good weather...May shall soon be here. May Garden party @ Elizabeth & Co.
You have some gorgeous flowers and loving your landscape. Have a lovely week. It's all so gorgeous, Linda! 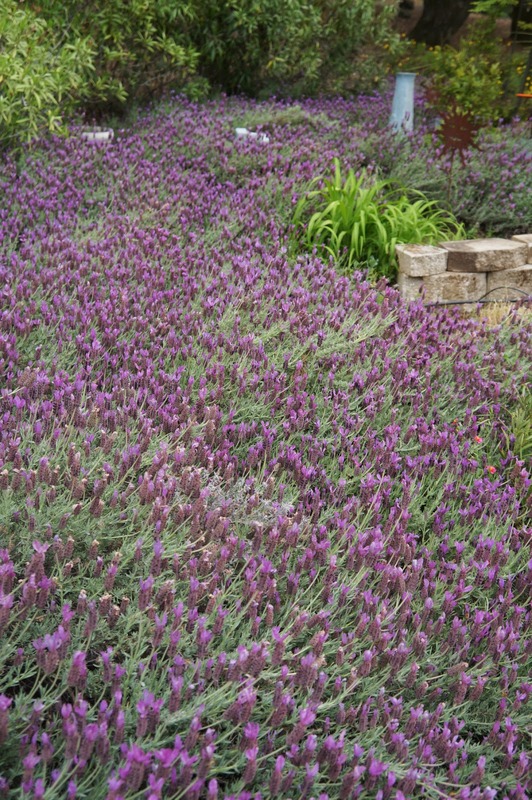 Just wondering who cares for it all...I see a lot of dead heading and cutting back and how do you do spring cleanup where all that lavender is? We used to have about 6 single plants that were spread apart and it was always so hard to get the fall leaves out! Any tips or just hire a landscaper? Beautiful!! Sadly our terrible winter got both our jasmine and lavender. Time to replant!! I love flowers, too! You have a beautiful garden! The only time we have lots of blooms is full on summer.. I find you so fortunate for your climate! I love it all!! My favorite would be the lavender!! I have tried and tried to grow even one small pot!! Alas, it always dies!! Your property is just so beautiful! Hi Linda! Such pretty flowers! Your season is about a month ahead of ours. I don't think I've ever seen blue verbena! It's beautiful! 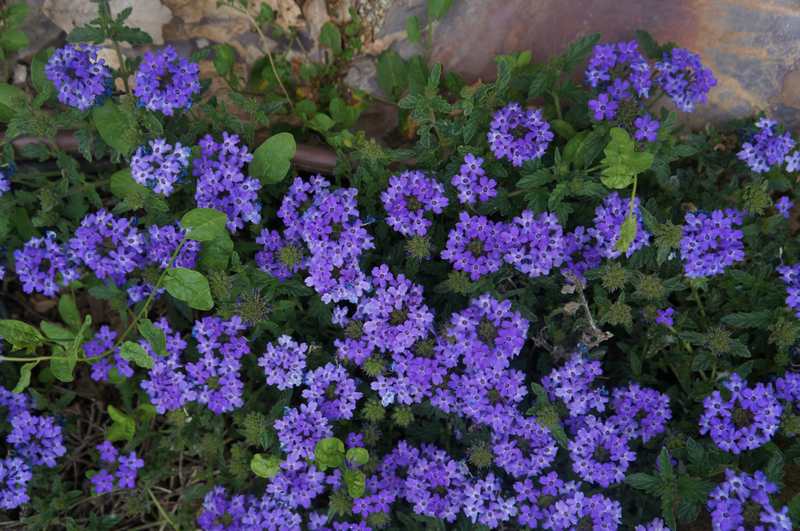 We have lots of colors of verbena around here, just not blue. Or maybe I just need to go to more garden centers! 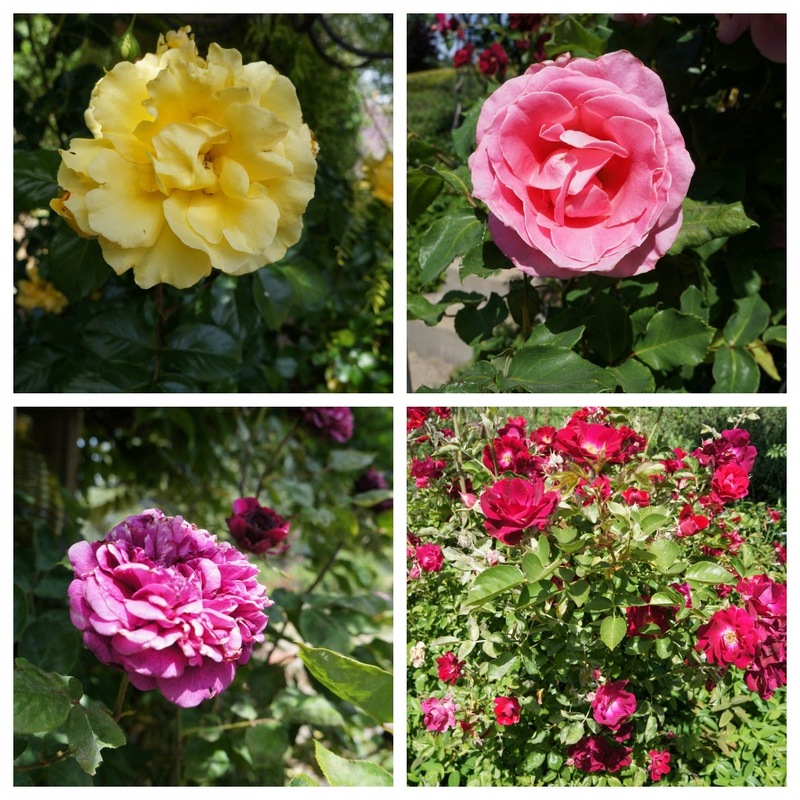 The roses are beautiful as well! Such a beautiful place to live! Thanks for sharing! Blessings from Bama! Gosh, Linda, I needed these this morning! It's raining and 46 F here! lol. 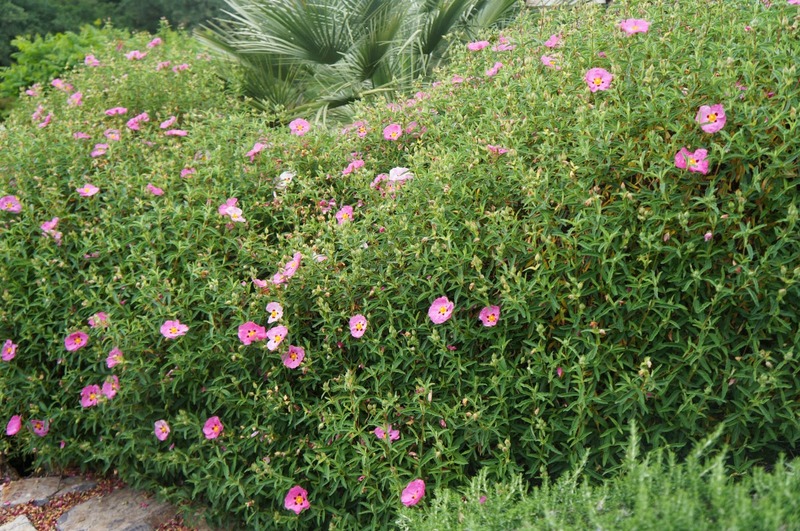 Your gardens are gorgeous and I love the variations of plants you have chosen. When can I come for lunch? 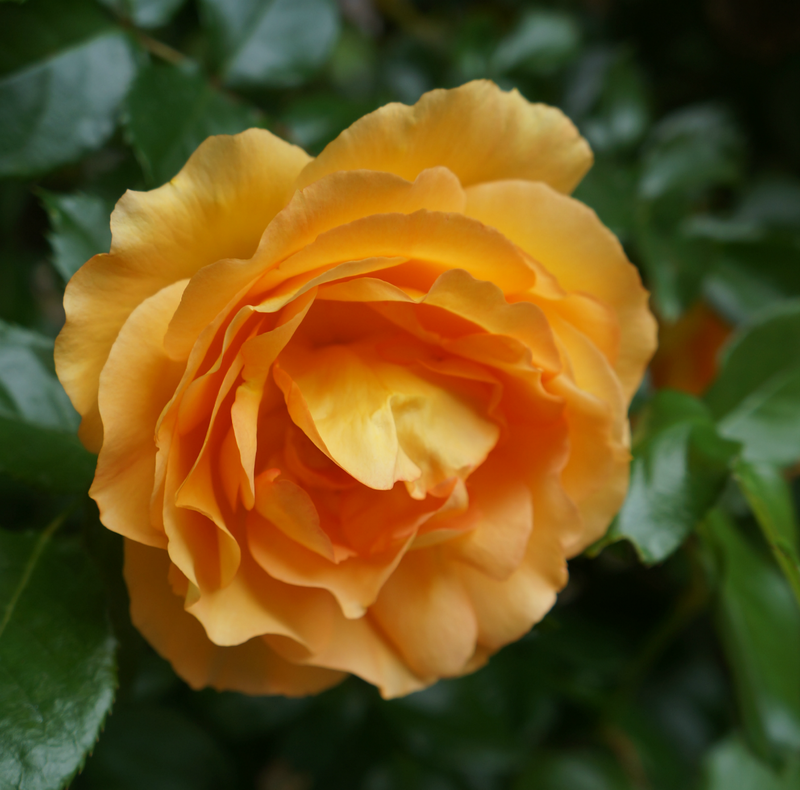 What a nice tour of your flowers. I like Verbena but it's only an annual here. 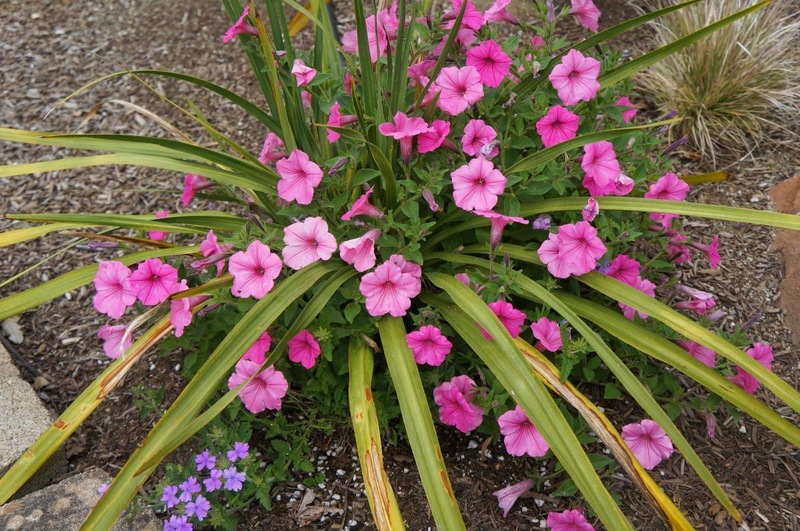 That's really nice that those pink petunias came back- I love "volunteers" like that! 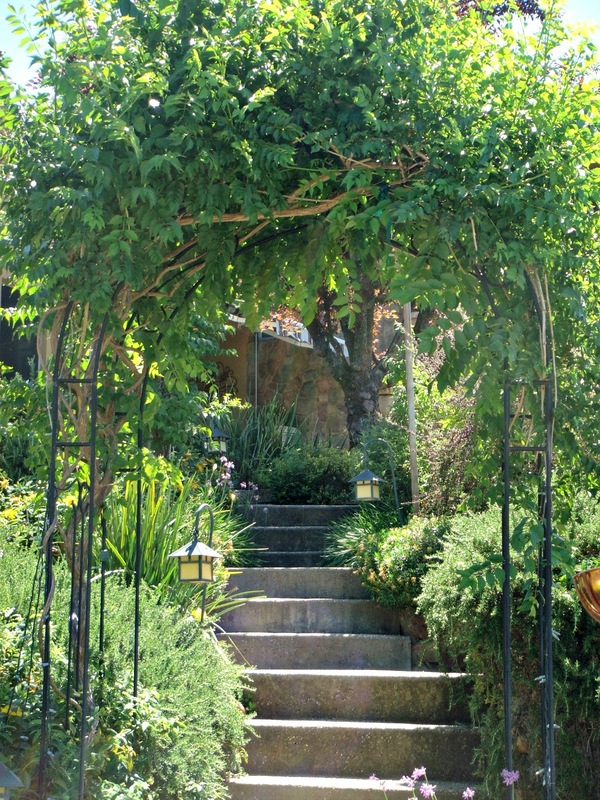 The walkway up through the arbor with the trumpet vine looks like a scene from Tuscany! Hi Linda, Love your flowers and thank you for the walk through the garden. I do this each morning too and can see how the flowers grow just over night. It is amazing. You have many of the same flowers I do and I just planted the Trumpet Vine to replace the only rose arch I lost this year due to the bad winter. Thank you for sharing. Just beautiful! 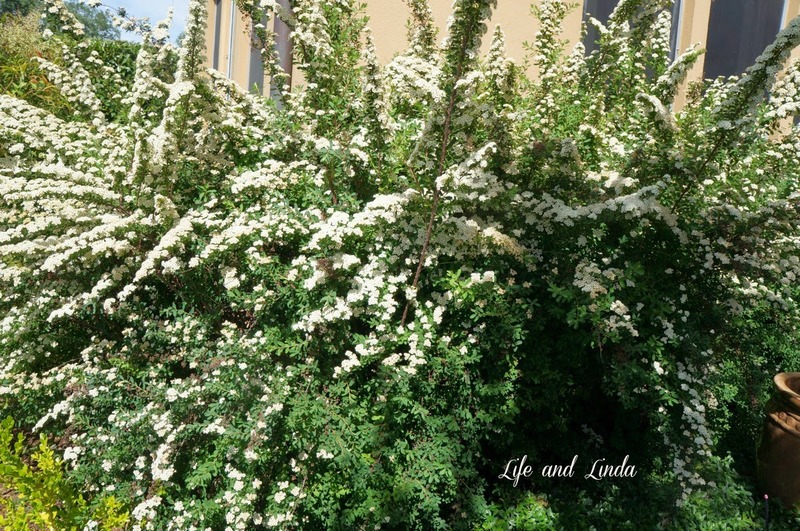 Your blooms are beautiful, Linda! Gorgeous gardens! 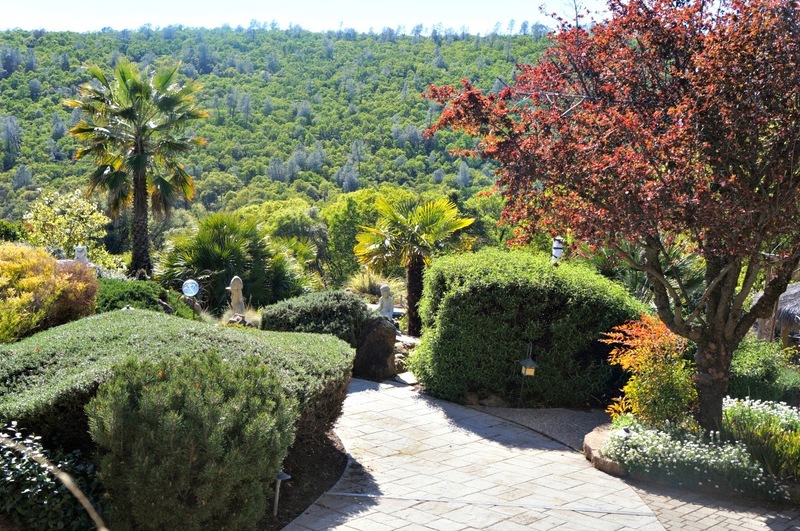 What an enjoyably serene stroll through your Gardens! I love all the flowers! And your view is incredible. We're just starting to see green buds on the Hydrangeas. It will be a while until we actually see flowers. to see they are doing so well. that is wonderful. What a fun place to hang out.......great photos too by the way. Blessings and enjoy every pretty one of them. goodness gracious - what an incredibly beautiful landscape! What lovely, lovely photos. So very glad you shared these glimpses of beauty with us. I don't know if I could pick a favourite...each is spectacular in its own way. 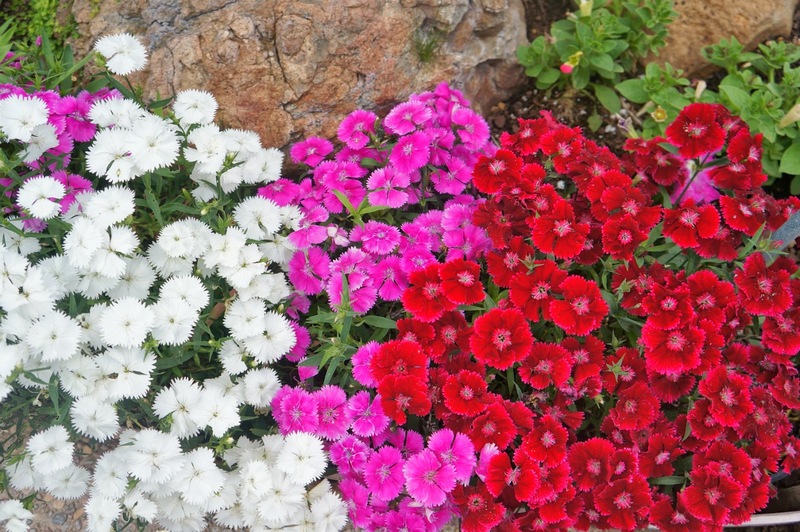 Pink and purple are two of my favorite colors, so I love that you have so many flowers of those colors in your yard. I can almost smell those roses through the computer. Get Ready as National Geographic (or whoever ;)) is heading your way... headline is "Paradise on Earth FOUND". 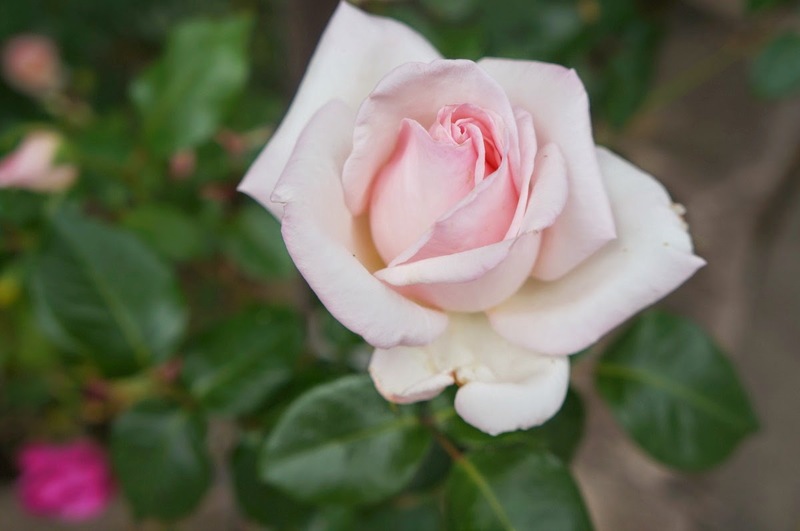 I'm on the prowl for one two-tones rose for my humble garden... the lavender is on hold for my front yard... I really want to enter home and smell it. Oh my goodness Linda, you have such a beautiful yard. I love all of your flowers. You have so many different varieties. 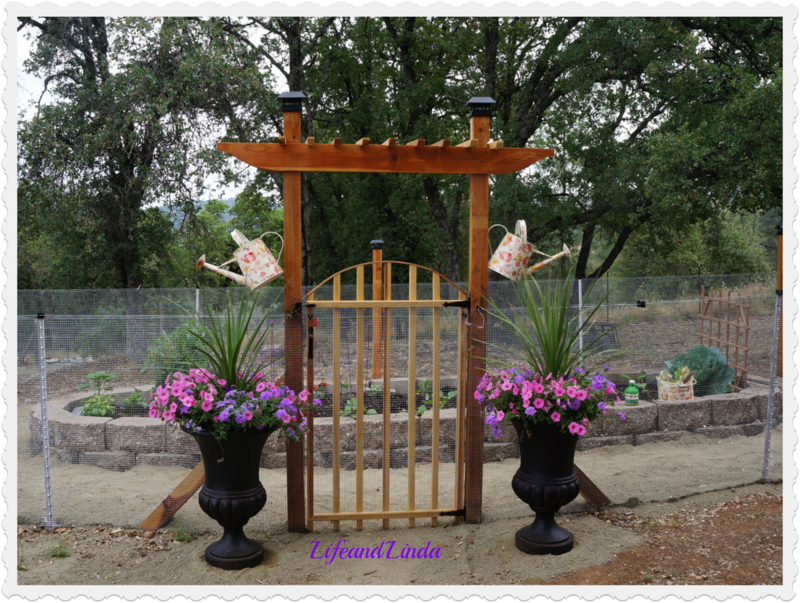 Oh Linda, you have such a lovely garden! I love all the different varieties - some we can grow here on the east coast and some that are new to me. And all that lavender - wow!